Below you can find the byografy of my Qi gong en Pranic Healing teachers. My name is Tao Qing Yu. I was born in 1970 in Jiang Xi province, southern China. Since my childhood, I have been interested in Chinese traditional qi gongs, Buddhist and Taoist culture. I grew up watching my father practicing qi gong and ever since have been fascinated by it. I first learned acupuncture, tai chi and some other forms of qi gong to help solving mine and other peoples´ health problems. I always felt that these practices were not complete. 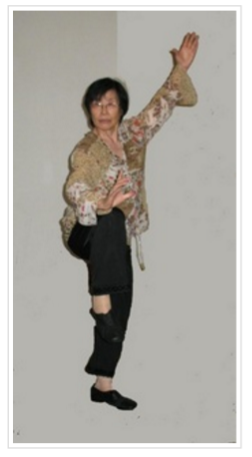 I started to practice Zhineng qigong in 1993. Through my practice I came to deeply love and respect it. In my view, Zhineng qigong is an amazing method for bringing benefit to self and others. In 1996 I went to Huaxia Zhineng qigong training centre and one year later started the two year teachers´ training class. After my graduation in 1999 I worked at the Huaxia healing centre for several months. Since I left Huaxia centre at the end of 1999 I have been traveling throughout China, Hong Kong, Europe, to teach Zhineng qigong and give healing to lots of people. I have a dream. I deeply wish to pass on my knowledge and experience to other people all around the globe, spread Zhineng qigong culture and enable everyone to enjoy life, be happy, free and healthy. Zhineng Qigong is an especially simple and effective Chinese healing method based on the recruitment of the Chi (the energy component of existence) and its effective harnessing for healing processes for the cure and daily maintenance of emotional and physical health.Origin of Zhineng Qigong. The inventor and developer of this unique healing method is the Dr. Pang Ming-pioneering physician, researcher, trainer and Master of ancient Chinese methods as well as having an in-depth understanding of Western medicine. 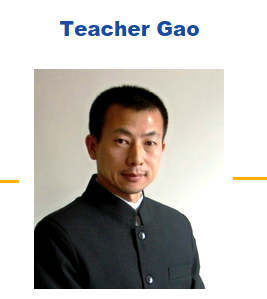 He learned from the leading Masters in Chinese medicine, Taoism, Buddhism and more. His name and reputation is known far and wide thanks to the success and benevolence of the simple method he developed and disseminated for the benefit of the general public. Thousands of people suffering from chronic and other health problems have been helped by his method. In a hospital Dr. Pang Ming established in China during the 1980’s, thousands of people suffering from chronic and severe health problems were successfully treated without the use of medicines. My name is Gao Weiming. I was born in 1969 in Xinjiang Province in northwest China, but my ancestral home is Jiangsu province in east China, just because the parents responded to country’s call in the 1950s and 1960s that they went to the northwest frontier from the southeast coast to support the development of Xinjiang as educated youths. Since 2002, I have been living in Shanghai. In the early 80s of last century, a kung-fu film affected our generation that it called “Shao Lin Temple”. So, we all liked martial arts. From then on, I began to study the Chinese kung fu by myself, and thus gradually knew about qigong. Meanwhile, I was keen on Chinese traditional culture. I have learned five other Qigong at least, before I came into contact with ZNQG. And each of these Qigong seemed to guide me step by step approach ZNQG. I worked in Huaxia ZNQG Center for 7 years, and served successively as the “Center” office secretary, Teacher Pang’s private secretary, the director of “Center” human resources, the leader of the Editorial Department and the Correspondence Teaching Department. In 2000, I had to leave when the “Center” disbanded. After that, I had to engage in non-Qigong job, including magazine editor, human resources manager, self-employment, etc., until the end of 2009, I began to try the new way of development of ZNQG. I created a website in 2009 (www.nqlife.cn), called “Neiqiu Yangsheng” (Neiqiu means the conscious use of the mind to focus inwards. Yangsheng means optimize wellness), and formed a team with my wife, teacher Xiao Yan (She and teacher Wei, teacher Lu are classmates of ZNQG, her introduction on the www.bigqifield.com). Then we do three things: the first is lectures,teaching and group counselling; the second is the wellness travel; the third is the private coaching. Our students mainly come from the workplace who never learned ZNQG, including white-collar workers, bosses, freelancers, teachers and students, and so on. Sometimes, we were invited to give wellness lectures for the companies or universities. Sometimes, we also cure diseases for the patients in the clinic of TCM. After many setbacks, we finally had some successful experiences. we taught the students more than one thousand people, collaborated more than 30 companies and universities. Some students have begun to use the external qi therapy in their life. Some students took part in the qigong science experiments. Teacher Hu Lijan in 1934 in Shanxi, she has cultivated the practices of Confucianism, Buddhism, Taoism, I-ching, medicine and martial arts and she is the daughter of the great Master Hu Yaozhen. The father was national champion in the martial arts in 1929. She currently works and teaches in China. She travel in Rome where she open the study centre for health, HU Yaozhen, ROME ITALY. As you can see from the Video she makes appeal on how to work on your heart / mind “because the heart is our taiji, is our one, is what allows us to connect with this empty Her main focus was to not teach any form -postura. The father was already teaching her to take the movements out from the inside and the system will change according to the time space. The relationship between what has form and what has no form, we can say that both things are important. This is the true tradition, working with the heart to feel with the heart, is not to limitate to imitate the forms from their appearance is the feeling of taiji that make the difference. She helped a lot het father in their studies. So basically he studied them all: the sword, the fan, the halberd, the Shaolin, etc. But thanks to the support of the doughter he could go more deep in studies of taiji from YanLuchan (a famous teacher). He started to practicing qigong spontaneously we, then began to understand how in the absence of the desire how the movemnts start to go alone, then he started to question this original nature. And then in a temple, he found this sentence that said “follow the shen that spontaneously moves” and then he began to think of the difference between Front and rear sky. He realized that the movements that were manifested spontaneously when he came in this quiet state, were very similar to those of YanLuchan. This was as well the main teaching of the doughter Hu Lijuan. 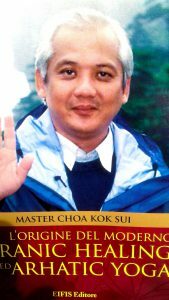 Master Choa Kok Sui is the Founder and Originator of the Pranic Healing and Arhatic Yoga System, as well as the internationally acclaimed author of the book, Miracles Through Pranic Healing (3rd Edition). Originally published in 1987 as The Ancient Science and Art of Pranic Healing, Master Choa conceptualized a fresh and far deeper understanding of energy healing, using the readily available source of all life – Prana, called Pranic Energy or Vital Life Force. Recognizing multiple applications for the use Prana or Pranic Energy, Grand Master Choa Kok Sui is one of the greatest Master’s of Energy of our generation. 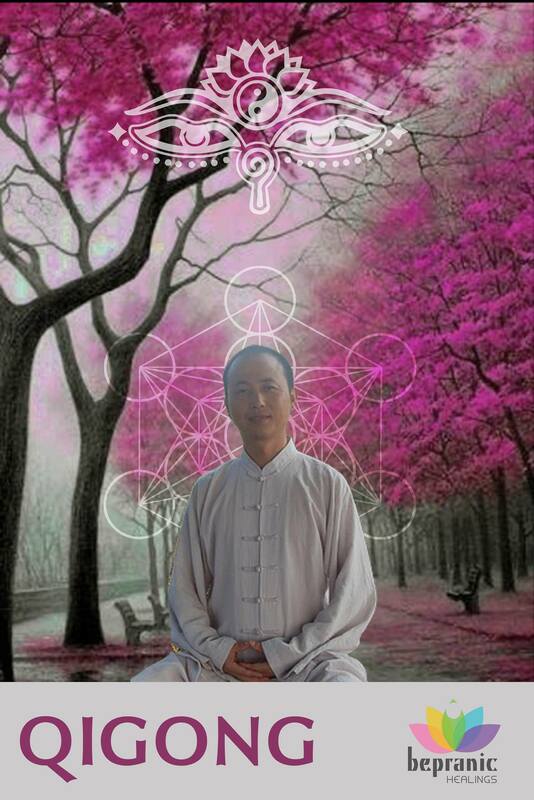 In developing the modern Pranic Healing® techniques used today and known as ‘MCKS Pranic Healing, Master Choa created a new standard of perception regarding healing itself. 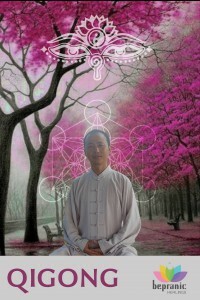 Master Choa not only conceived the comprehensive techniques designed to cleanse and energize the physical body, thereby accelerating the rate at which the body can heal itself, he even originated new, never before used terms, to thoroughly clarify the concepts he devised. Master Choa successfully has demonstrated that energy is an important factor in healing the physical body, and through employing Pranic Psychotherapy®, also in healing the psyche. 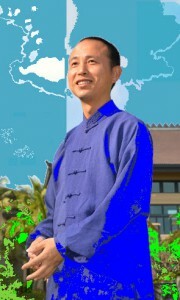 Master Choa’s students are blessed to learn numerous methods for achieving success in life, by employing his remarkably effective techniques. These powerful tools clearly reflect his extensive grasp of the numerous applications of energy and of his deep comprehension of life itself. Through Master Choa’s teachings, his students are able to create more balance and to maintain greater success and harmony, as he guides them through the enormous range of possibilities regarding the application of Prana, or Vital Life Force to nearly every aspect of life. Arhatic Yoga® is an advanced meditational technique, that proportionally balances aspects of Universal Love, Intelligence and the Will. Practitioners are thereby able to develop higher intuition, advanced mental powers, stable emotions, clearer qualities of good character and are able to move more rapidly toward becoming totally integrated beings of Divine Light. For 20 years, Master Choa traveled virtually non-stop, personally instructing students in over 60 countries on 6 continents. Before his passing on March 19, 2007, Master Choa finished 25 books published in more than 30 languages, and saw more than 100 Pranic Healing Centers established in over 90 countries, The philanthropic arm of the organization, the MCKS Charitable Foundation runs feeding programs in various countries, funds medical assistance for poor patients and contributes to disaster relief the world over.